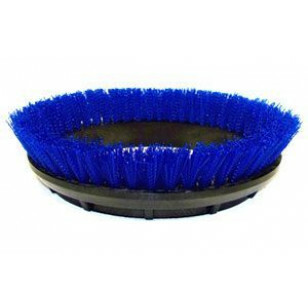 This scrub brush fits directly onto our Oreck 12 inch Orbiter, which is listed below, and is great for home as well as commercial use! 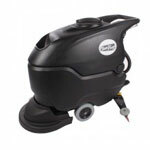 It has .020" poly bristles and is the perfect brush for cleaning uneven hard floor surfaces like ceramic tile with grout lines . This brush is more aggressive than the light duty Oreck scrub brush and green everyday brushu, but less agressive orange heavy duty brush that we carry.